Free Subscription: "Commercial Carrier Journal"
Provides complete business solutions for trucking professionals, responsible for running trucking companies, operating fleets or maintaining equipment. By providing your fax number, email address, and personal id on this form you are agreeing to receive from Randall-Reilly Publishing Co. faxes or email pertaining to subscription renewal notices or forms, subscription information or advertising that may be of interest to you. You may receive renewal reminders via email. If you do not want to receive other business-related third-party email offers please check here. 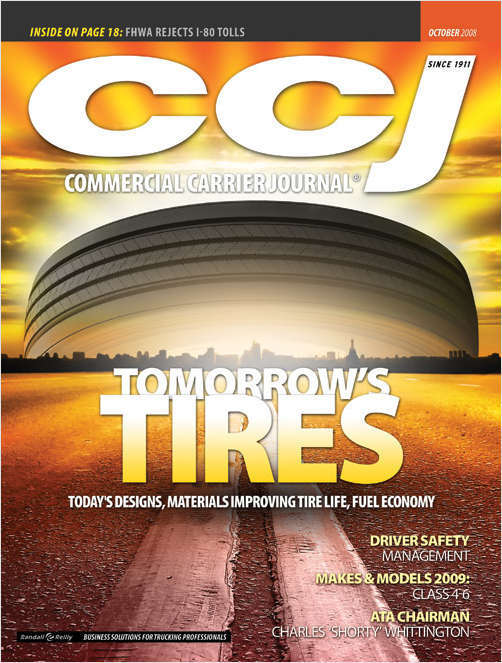 Do you wish to receive a FREE subscription to Commercial Carrier Journal? In lieu of a signature, Randall-Reilly Publishing requires a unique identifier used only for subscription verification purposes. What day is your birthday? What is your primary function? How many trucks, tractors, trailers, off-road vehicles and buses are based at or controlled from this location? Is there a maintenance shop at this location? What is your company's primary type of hauling or line of business?